Chart data is driven by the current bid price. 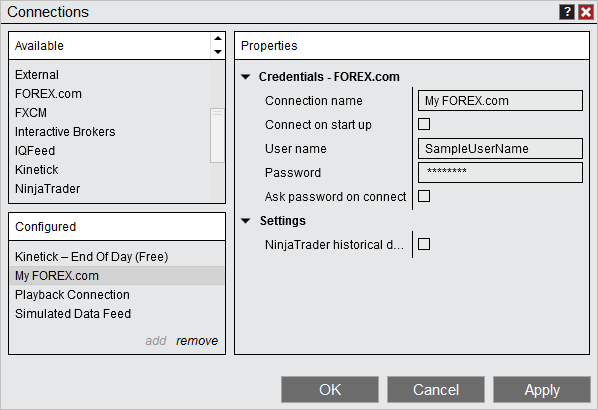 Any external order or position on an instrument not defined in NinjaTrader is not supported and will not be displayed. A warning message will be shown in the log to notify you if this occurs. Any submitted market orders or executions resulting from market orders will not be displayed after disconnect/reconnect, as the API does not support downloading market order history. 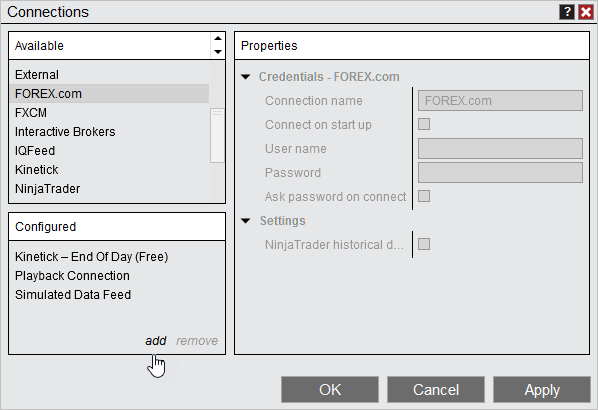 A market data subscription from FOREX.com is required in order to submit a live order. Spread bet and CFD's based on future contracts are not supported. Order type will be inferred by the system based on price the order is submitted.